Through policy advocacy and working with USDA staff at the national level, NYFC has been fighting to make sure that Farm Service Agency (FSA) loans and programs truly serve the needs of all young farmers. There’s also a way for you to get directly involved with the day-to-day operations of FSA and to shape FSA programs at the local level. This month is the nomination period for FSA County Committees. FSA County Committees are teams of individually elected farmers or ranchers who have had experience with FSA programs. During their three-year term, these farmers make decisions about local FSA programs and outreach. Since 1999, the USDA has faced five class action lawsuits and acknowledged systematic racial discrimination in farm loan and service programs (see below). The USDA and FSA are actively addressing inclusivity within their programs by attempting to diversify their staff, reaching out to underrepresented farmers, and setting aside percentages of the loan program allocation for farmers of color. It is important that FSA County Committees represent the full diversity of farmers, and also of farms—all scales, products, and practices. Because farmers of color, indigenous farmers, and women have historically accessed FSA programs at a lower rate, the pool of these possible applicants for county committees is smaller. So especially if you are a beginning farmer, a woman, a farmer of color or a Native American farmer who has used an FSA program, please consider running for your county committee. It’s a powerful way to make your voice heard, connect with your regional farming community, and set the precedent for equal representation of all farmers. Since 1999, the USDA has faced five historically important class action lawsuits having to do with discrimination in farm loan and service programs. They are: Pigford v. Glickman and Pigford II; Keepseagle v. Vilsack; Love v. Vilsack; and Garcia v. Vilsack. In the Pigford lawsuits, black farmers brought a case against the USDA for systematic racial discrimination in farm lending, citing examples from a 15-year period (1981-1996). The USDA has since paid settlements to tens of thousands of black farmers in one of the largest civil rights settlements in U.S. history. Keepseagle v. Vilsack found similar discrimination against thousands of Native American farmers and ranchers who had sought farm loans, loan servicing, and technical assistance between 1981 and 1999. 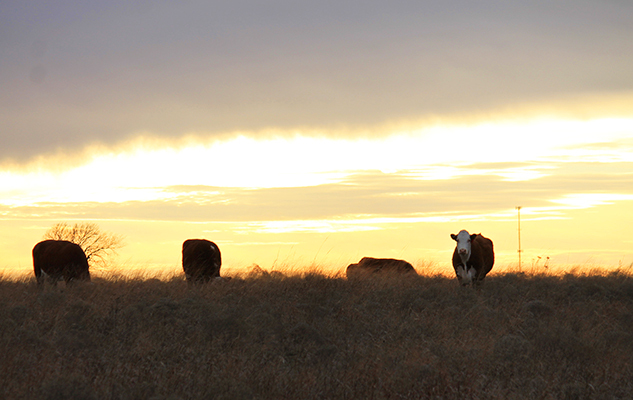 In addition to a $760 million settlement in 2010, an outcome of Keepseagle was the creation of the USDA’s Council for Native American Farming and Ranching (CNAFR). Love v. Vilsack was brought against the USDA by a number of women farmers for unlawful gender discrimination in the administration of farm loan programs. Garcia v. Vilsack involved allegations that the USDA had also discriminated against Hispanic farmers, in violation of the Equal Credit Opportunity Act and the Administrative Procedure Act. These class action lawsuits frame a long history of racial and gender discrimination that the USDA has acknowledged and has been actively working to rectify. Now that FSA County Committee seats are open, FSA administrators are specifically encouraging underrepresented farmers and ranchers to run.